When someone purchased a movie or music TV, they may want to share with others, but they can't directly upload M4V format files to the website, so how to solve the problems, any ways? Just convert M4V to FLV, because FLV format is more easy for uploading and more popular. Now what they need is a M4V to FLV Video Converter, here we recommend M4V Converter Plus for you. It not only a powerful video converter to convert M4V to FLV, but also can remove the DRM protection of purchased M4V or M4V rentals. At first, M4V Converter Plus is easy-to-use. With its concise interface, whether you are good at computer operating or not, just click the proper buttons, you can complete the conversion with good speed and excellent output quality. M4V Converter Plus is a DRM remover, which can legally remove DRM protectionfrom iTunes purchased M4V and iTunes movie rentals. M4V Converter Plus supports various output formats like MP4, AVI, 3GP, FLV, MPG, etc and MP3, AAC, WMA audio formats. M4V Converter Plus provides a wide range of presets for all popular digital players like iPad, iPod, Zune, iPhone, Apple TV, PSP, Archos, Creative Zen, Pocket PC, GPhone, Mobile Phone, Sony Walkman etc. 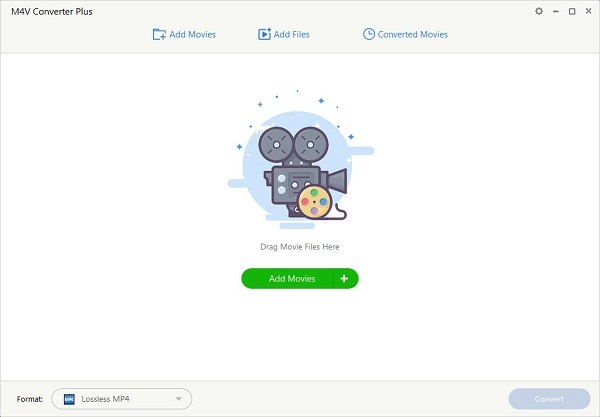 More importantly, M4V Converter Plus for Win is a powerful M4V to FLV Converter, which can convert iTunes videos to almost all popular formats. In a word, with M4V Converter Plus, everyone can convert M4V to FLV quickly and easily, it will keep the original quality of your M4V video beyond your imagination. Step 1: Download and install M4V to FLV Converter - M4V Converter Plus for Win. You will see the interface. 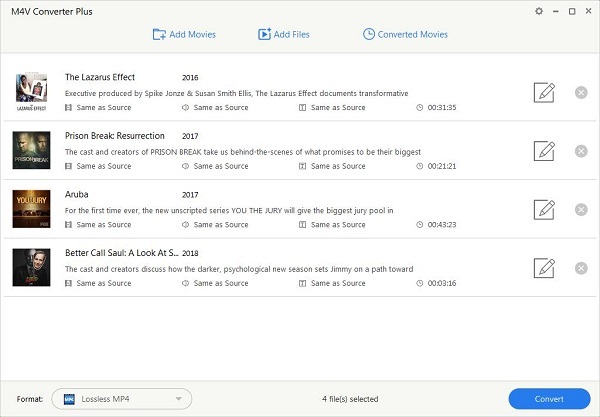 Step 2: You can click the "Add Movies" button in the top-left to add the M4V files you want to convert. The software will open your iTunes library by default, you can select the files to convert. Step 3: Select FLV output video format. 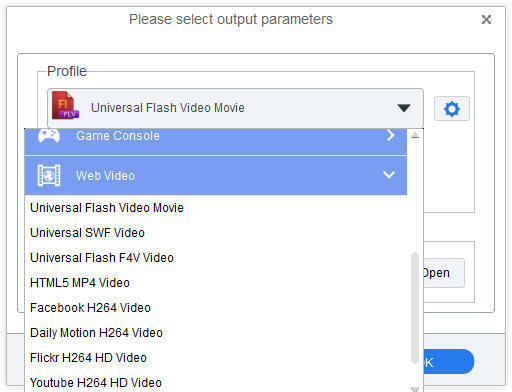 Click Profile panel, You can select Universal Flash Video Movie from Web Video option. Step 4: Click profile blue box to start M4V to FLV conversion. The format has quickly established itself as the format of choice for embedded video on the web. Notable users of the Flash Video format include YouTube, Google Video, Yahoo! Video, Metacafe, Reuters.com, and many other news providers.